Inspired kids. Inspired Learning: Just another day at New Westminster Schools! 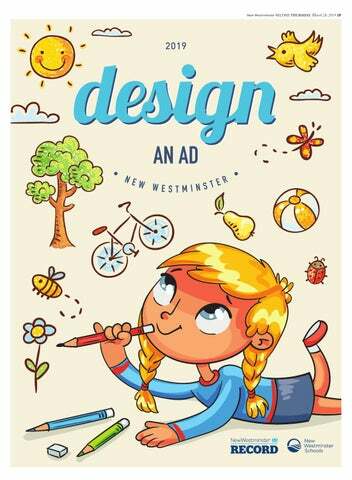 That’s one of the reasons our annual Design an Ad special supplement continues to be popular in New Westminster. As Superintendent of New Westminster Schools, what better way to see inspired learning than to visit every school in our district and take in the action. 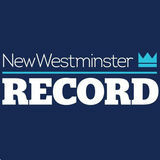 The New Westminster Record, local businesses and organizations, and the New Westminster school district, team up and ask city students to design newspaper ads for the special section. In the past 6 months, I’ve huddled with kindergarten kids at Kelvin Elementary as bumble bee robots buzz along a ﬂoor map. I’ve read The Cat in the Hat to kids at F.W. Howay Elementary while wearing (you guessed it!) a red-andwhite striped cat hat. Every year, the students produce insightful, creative, thoughtful – and often humorous – advertisements that highlight the strengths of their subjects and often carry compelling messages. The businesses and groups get to choose which students’ advertisement they want to run in the section and our photographer visits the students. The ads and photos of students are put together by our team at the New Westminster Record and another Design an Ad section is complete. At École Glenbrook, I visited a middle school French immersion class grappling with the meaning of Canada’s apology for Indian Residential Schools, while at Queensborough Middle School, I encountered one class that had just wrapped up a virtual ﬁeld trip to the Arctic thanks to our newly acquired Discovery Education interactive media resource. The ads are also on display at Royal City Centre from March 28th. I would like to thank all of the students, teachers and participating advertisers who continue to make this annual project a real success! Over at our high school, I’ve met with chemistry students; students exploring robotics; inspired drama and dance students; and students breaking new ground in robotics and in digital arts. ments. Virtually gone are rows of desks. Now it’s ﬂexible seating – with ﬂoor cushions and small tables, wobble stools and bean bag chairs. It’s a simple change with a big impact, giving students options in how and where they want to work. And more: you’ll see our innovative teachers putting learning in new contexts. Students are thinking about how they learn – not just what they learn. They’re setting their own goals. Using their hands along with their minds. Engaging in groups. Taking care of their emotional and social needs. These are increasingly empowered students, active in their learning, their schools, and their daily environments. I’ve been asked by kindergarten kids in my visits: Are you the boss? Do you like what you do? I’ve been grilled by the highly informed grade ﬁve kids at Herbert Spencer Elementary: What is the budget for our schools? What am I spending it on? And, most profoundly, what do I want to change? We are on a journey in a time of transformation in education. There is much to do, and it is imperative we do it together – students, parents, the community. I want to ensure we make thoughtful changes across all aspects of our learning journey. In the meantime, I’m seeing our teachers as coaches and allies. Our students as explorers and discoverers. I’m seeing daily commitment. Daily passion. Daily inspiration. Just another day of learning in action at New Westminster Schools! Betty Tam’s grade 6 students from École Glenbrook Middle School. AA happy well groomed pet is our goal! goal! Jody Connolly’s grade 6 and 7 students from Fraser River Middle School. Students from Tanya Kaselj and Melissa Johnson’s grade 6 and 7 class at Fraser Middle School. Students from Betty Tam’s grade 6 class at École Glenbrook Middle School.